Some incredible Drum tracks have been recorded at Blue Jay Studio. 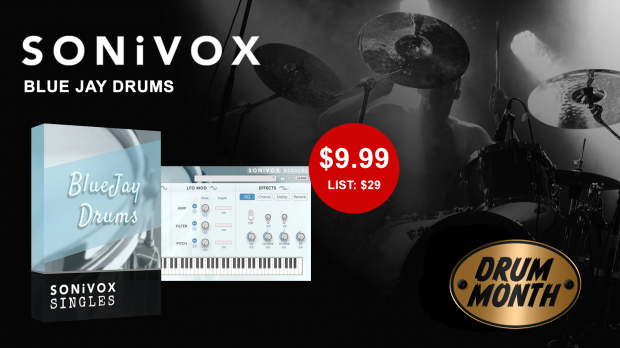 Now you can have the same drum sound as the Pros who recorded there. On ‘Drum Month’ promo at over 65% off. This entry was posted in DontCrack, Promotions, Sounds and tagged Blue Jay Drums, sampled drums, SONiVOX, virtual drums, Yamaha Maple Custom drumset. Bookmark the permalink.